Father’s day is this weekend. I always have difficulty thinking of an appropriate gift for my dad, whether it is his birthday, Christmas or any other gift giving event. When I was young, ties were a good bet. Dad’s wear ties to work every day. Now, that isn’t so much the case. I’ve gotten him various manly tools, like hammers, allen wrench set, and an axe to replace the broken one. But you can only buy so many tools until you realize they just sit in the basement or garage rusting. Food items are a popular choice but as Dad gets older you figure a case of beer or a subscription to monthly red meats delivery is not the best choice. If you get something too healthy then it is quietly placed to the back of the fridge or kitchen cabinet. This year I decided to meet my Dad half way. The one thing that my Dad always enjoys that isn’t too terribly unhealthy is oatmeal raisin cookies. Oatmeal cookies are my Dad’s favorite cookies. Not that we home bake them often but oatmeal cookies are the ones he picks at the grocery store for lunch on our way to a Father-Daughter “adventure”. When I was young these adventures usually included viewing college football games in the rain or hikes along cliff faces (I was told they no longer allow people on that hike. It was pretty scary.). Adventure lunches usually included an apple, potato chips, oatmeal raisin cookies and a hoagie sandwich: roast beef, provolone cheese and margarine usually on a hotdog bun. For me Oatmeal cookies (and the crazy Husky hoagie sandwiches) are associated with memories of doing fun activities with my Dad. Next to chocolate chip cookies, oatmeal raisin cookies are the second most popular cookie in my opinion. The traditional home baked variety use the Quaker Oats recipe. But I know that rolled oats, even the Old Fashioned kind are still over processed. Recently I have been eating steel-cut oatmeal for leisurely breakfasts. Instead of steamed and flattened like Old Fashioned or pre-cooked like the instant, steel-cut oats are just cut up into small pieces from the original oat seed. Aimee from Simple Bites has more information about the different oat processes. Steel-cut oats take longer to cook so I had imagined that baking them in cookies would take longer if not an impossible task. It ended up being about the same process and the cookies are delicious and crunchy! 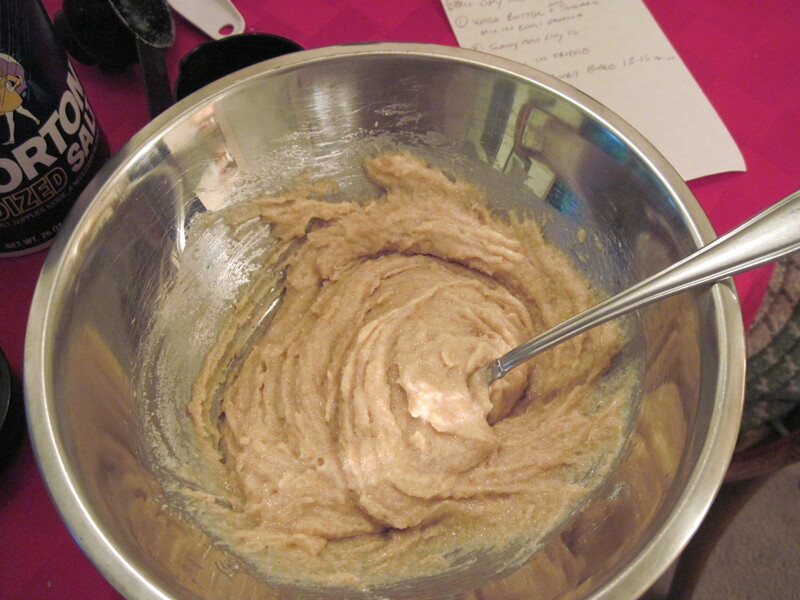 Whisk the softened butter and the sugars together in a large bowl. Mix in the egg and vanilla. 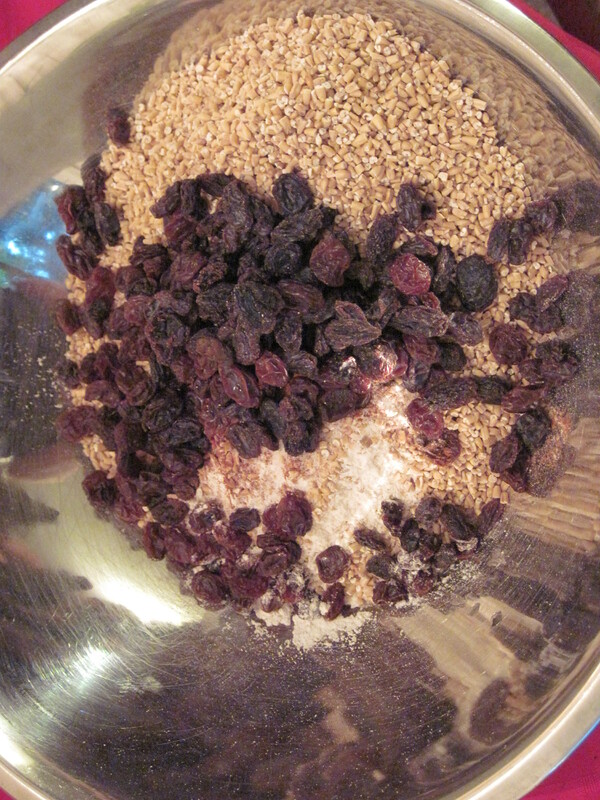 In a medium brown mix all the dry ingredients including the raisins. Slowly add the mixed dry ingredients to the butter and sugar mixture mixing thoroughly after each addition. Cover the bowl with plastic wrap and chill the cookie batter in the refrigerator for 30 minutes. 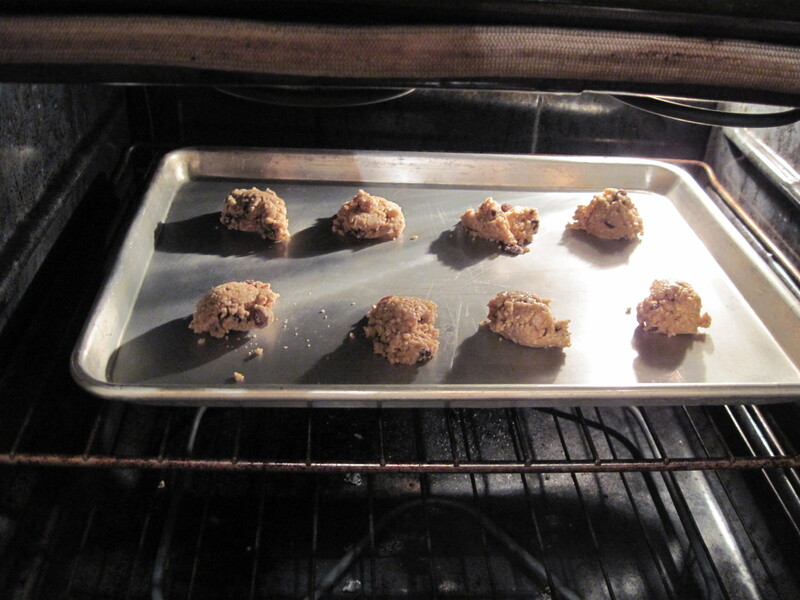 Spoon the batter onto the cookie sheets with 2 inches between each. Bake at 375 °F for 13 to 15 minutes. Posted in BakingTagged baking powder, baking soda, brown sugar, butter, chocolate chip cookies, cinnamon, cookies, cookies oatmeal raisin, Dad, dessert, egg, Father, Father's Day, flour, food, gifts, granulated sugar, healthy cookies, home cooking, nutmeg, nutrition, oatmeal raisin cookies, raisins, salt, steel cut oatmeal, steel cut oatmeal raisin cookies, steel cut oats, sugar, vanilla extractBookmark the permalink. Loved reading your memories of father-daughter adventures and chuckled about your gift-giving! Yes, oatmeal raisin cookies was a good choice! They are delicious! But I didn’t recognize them as oatmeal cookies because you used steel cut oats. I’ve never used them in cooking. I thought the oatmeal was seeds! Aimee from Simple Bites has some good looking recipes. 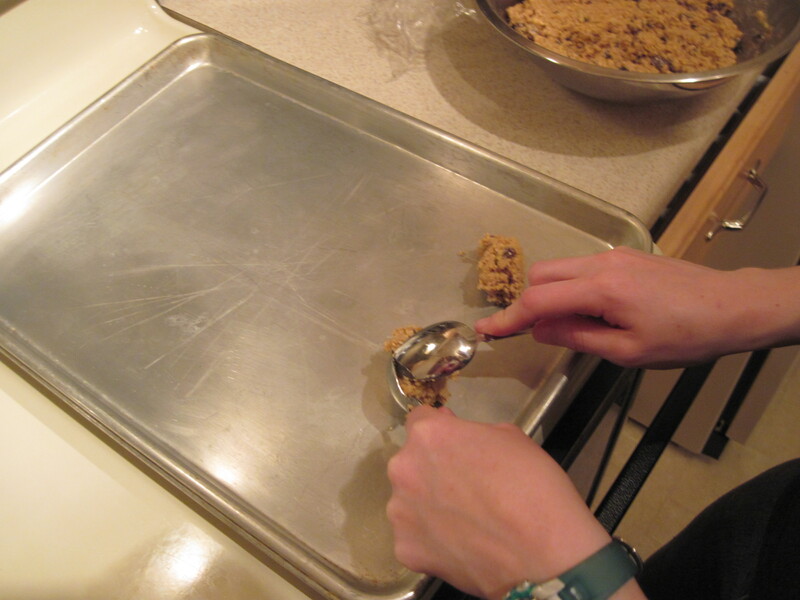 I am glad that you could use this steel cut oats cookie recipe! Its good to hear that others are enjoying them too. Oatmeal cookies are always a crowd pleaser. I am eating one of these now! They are AWESOME! Thank you! Your welcome! I am glad that you are enjoying the cookies. I think I need to make myself another batch now that I am reminded how tasty they are. 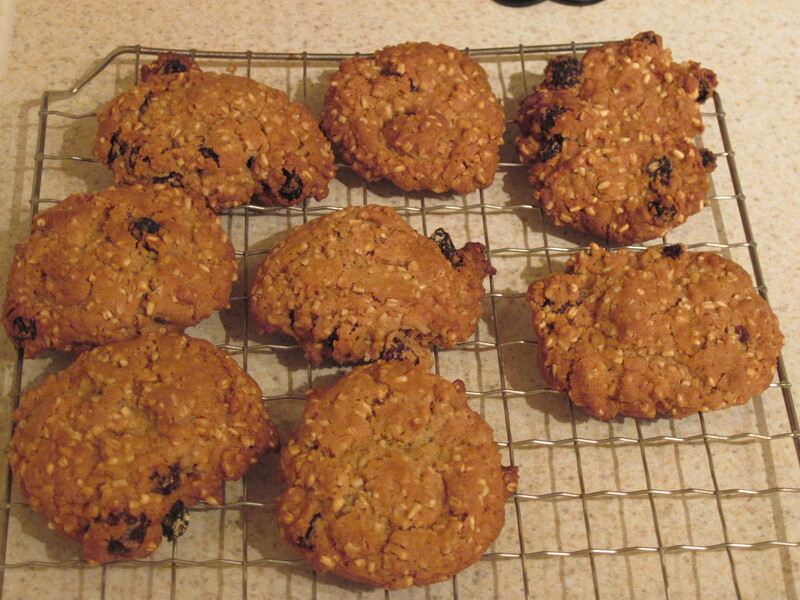 Thank you for sharing this recipe, I really craved an oatmeal raisin cookie, but only had steel-cut oats! You saved me and my stomach! Such a great recipe!!! Question: when chilling for 30 mins, is that for A) making the batter firm for shaping. OR B) to prepare the oats to soften slightly by absorbing moisture from the egg? For me, chilling the batter is to firm it up so it is easier to work with. I am not sure if there is enough moisture in the recipe to make a difference with the oats. I have not experimented yet with the recipe too much myself but it would be interesting to see if there is any difference if you don’t chill the batter first. 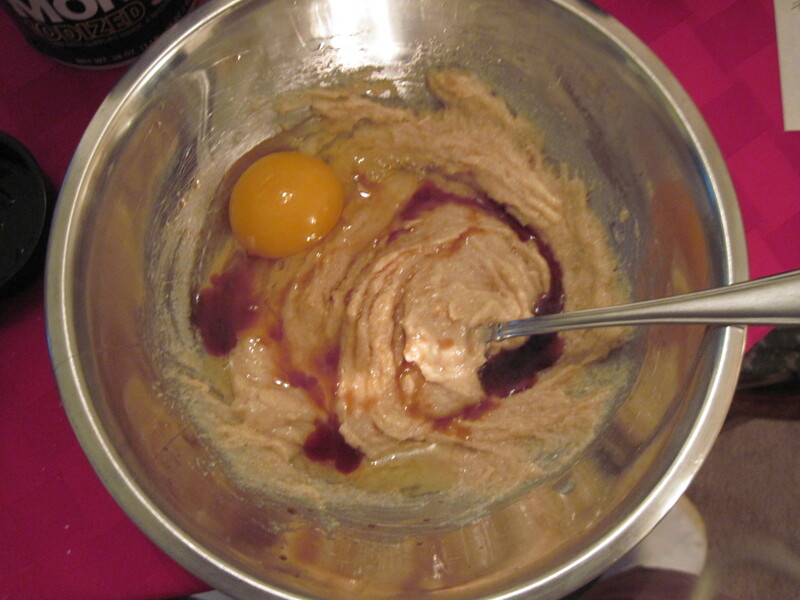 A Google search says that in general, chilling the batter is to improve the taste of the cookies (http://www.bakepedia.com/tipsandtricks/refrigerating-cookie-dough/). So it could benefit both ways. I made these today…they are sooo good. 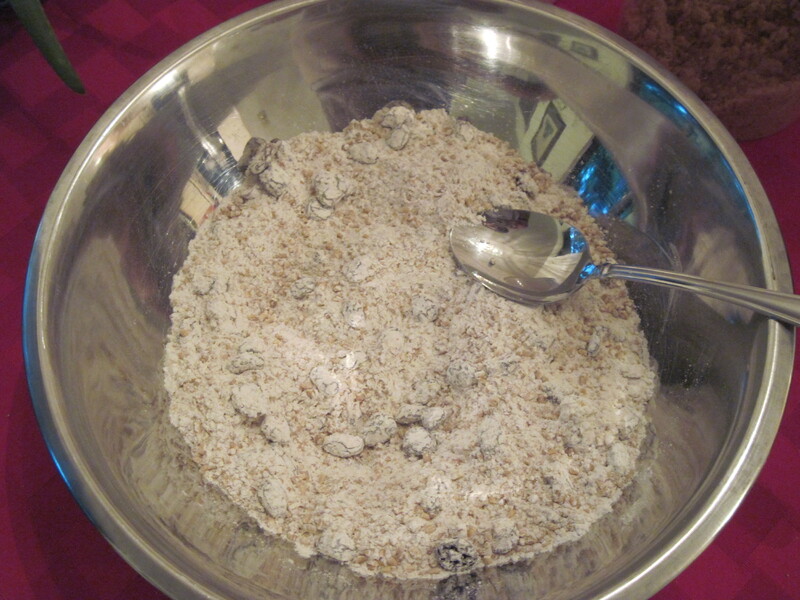 I used the brown sugar but substituted Monk Fruit for the other sugar…fabulous. Very tender and met the approval of 18 year old boys! Thanks for sharing this! I didn’t have nutmeg so instead I put 1/2 tsp allspice with 2 crushed cloves and I had scottish oats left over so I used that and boy are these cookies to die for. So light and flavourful. Thanks for sharing this recipe! Just made these! They turned out so bomb, thanks!! I just made your recipe and had to adjust for my grandson’s allergies. I used Crisco butter flavour shortening instead of butter and used ‘Enjoy Life’ chocolate chips which are dairy free. I used Bob’s Red Mill steel cut oats and was worried they might be a little dry. No worries, they were yummy. I may have to make another batch or they’ll be gone as soon as I get to my daughter’s house. I used a small ice cream scoop to shape the cookies so they aren’t huge, but nice and thick. I’ll be making them again for my husband and I only I’ll use butter and raisins or dried cranberries. These are some of the best oatmeal cookies I have eaten. Thanks for the recipe! Scrumpdilicious! Excellent recipe . Hardy, no grease cookie. A real old fashioned milk dipper. It depends on how much you spoon into each cookie. I just made a batch with spooning 1 inch balls that resulted in 30 cookies. Can you tell me approximate how many cookies this will make? Wonderful! Received a free sample of Quaker’s Steel Cut Oats and wondered if I could make cookies with them; Googled and found this recipe. Changes: Becel Buttery instead of butter, cut down on the granulated sugar, and substituted a half cup of shredded coconut for half the raisins. Used a tablespoon for measuring and got 32 cookies, which I baked for 12 minutes. Thanks for a keeper recipe!